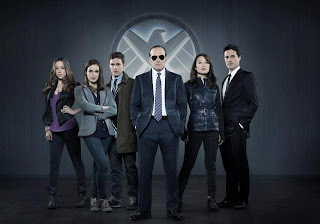 It's official, ABC has announced that it has ordered a full season of "Marvel's Agents of S.H.I.E.L.D." The Hollywood Reporter says that ABC will begin it's marketing push with the show this Sunday where a special sneak peak at the series will air before the season finale of "Once Upon a Time." The show will follow Agent Coulson as he assembles a small group of Agents from the worldwide law-enforcement organization known as S.H.I.E.L.D. His select team will consist of Agent Grant Ward (Brett Dalton), Agent Melinda May (Ming-Na Wen) pilot and martial artist, Agent Leo Fitz (Iain De Caestecker) engineer, Agent Jemma Simmons (Elizabeth Henstridge) bio-chemist and new recruit/computer hacker Skye (Chloe Bennet). Joss Whedon (Marvel’s The Avengers, ”Buffy the Vampire Slayer”), Jed Whedon and Maurissa Tancharoen are the Executive Producers. This will be Marvel’s first TV series. Stay tuned to Idol Threat for any future developments. *UPDATE: Check out the first promo for Marvel's Agents of S.H.I.E.L.D.